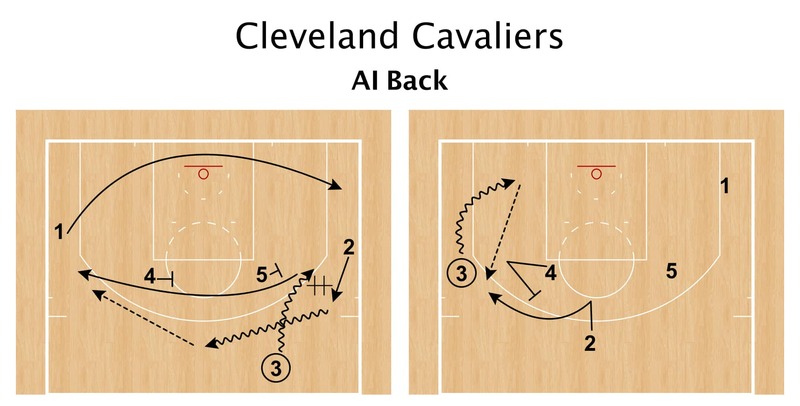 This set is designed for a shooter after decoy action, out of Iverson Series that is extremely common throughout the NBA. 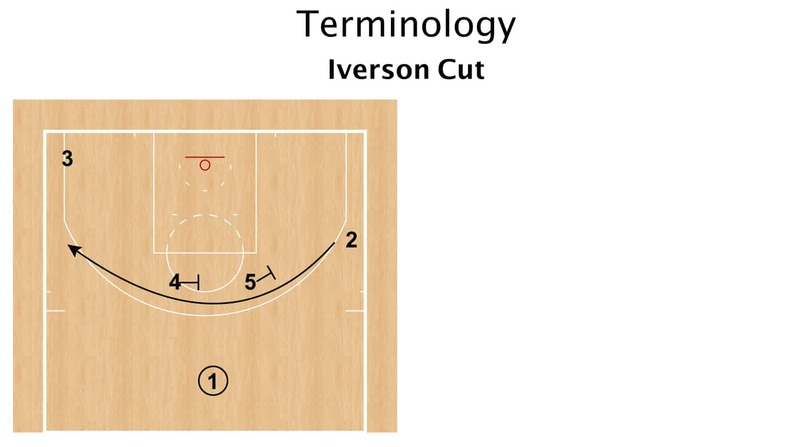 The Iverson cut is a basic action that is designed to get a guard cutting over the top of two bigs from wing to wing. After the Iverson Cut, the guard will receive a pass from the point guard on the wing. As the player uses the Iverson cut to get open, the guard in the corner will clear opposite and empty out that space. 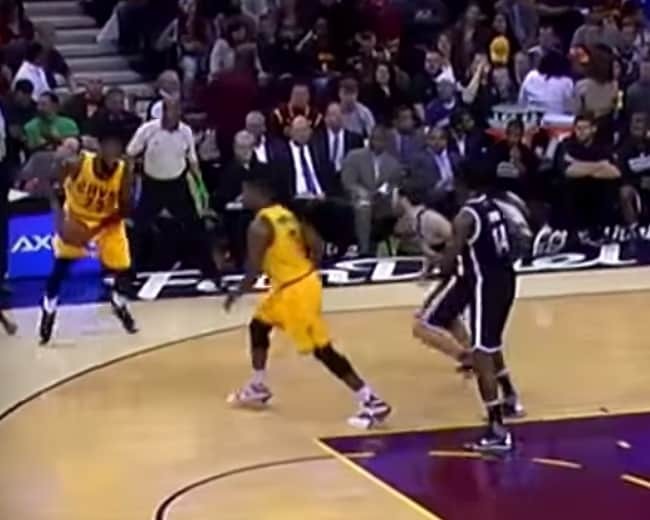 When the guard receives the pass he will drive to the baseline and draw x4 away when he has to help. This allows the 4 man to set a “throwback” screen for the shooter – in this case 2. The footwork for 4 here is plant hard outside and fake a ballscreen, then turn and set the throwback screen for 2. This is great action against teams that ICE side ballscreens (Chicago Bulls ICE Defense – Michael Bowden on YouTube), since x4 will drop every time in that coverage.